Massively reduce your CAPEX outlay and monthly OPEX by consolidating your business communications in the cloud with Solgari. 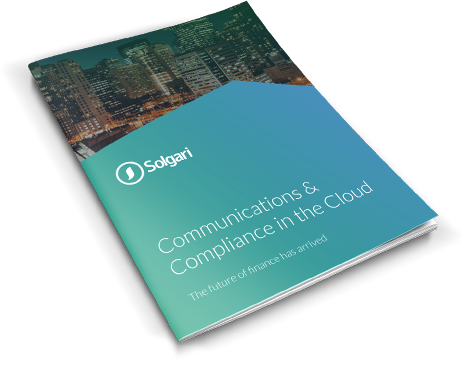 On average, Solgari customers see yearly savings of more than 40% by switching to our cloud software solution when compared to legacy communications technology providers. In addition, as a licensed telco, we access wholesale international call rates and pass these lower costs on to our cloud business communications customers, typically saving up to 80% on call rates alone. All extension to extension calls are free regardless of location. We operate in many regions globally, particularly in emerging markets where our trade finance platform solution is heavily in demand. As a result we require a cloud based telephony solution that provides us with the same service everywhere including across mobile devices. Solgari's cloud telephony solution achieved all of this, removing the need to use different solutions in each location and a huge amount of cost. This is exactly what we were looking for and it’s an impressive outcome. With most industries, particularly financial services, facing increasingly heavy regulation, Solgari records and archives all communications - voice, video, chat & SMS - forever in a military grade encrypted environment. Instant search & retrieval, reporting and speech analytics allow our customers to address all GDPR, MiFID II & PCI DSS requirements through a cloud software solution, avoiding the need to address each communication channel in isolation. We have a number of regulatory compliance requirements including being able to archive all customer communications to meet MiFID II & FCA compliance. Finally, with Solgari, we are able to access all these services on a single cloud software platform. Integrate Solgari with systems such as Microsoft Dynamics 365, Salesforce.com and Zendesk, driving omni-channel inbound and outbound communications within your CRM, automatically covering all compliance, reporting and analysis requirements. Solgari Link allows our customers to capture any client detail from inbound communications, producing outstanding intelligence for your sales teams. We had 19 different phone systems serving 600 people in 19 offices. Now we have one solution and a whole lot more. Communications and our Bullhorn CRM platform now work as one. Solgari is a hugely comprehensive offering, it’s been fantastic for us. All services and related features are available down to the user level. Require a Cloud Business Communications solution in one location today or an Omni-Channel Cloud Contact Centre solution across all your locations tomorrow? Require Compliant Communications Recording to meet industry regulations? Just tell us your business communication needs and we simply turn them on. Or off, if no longer required. You still only pay one monthly fee. No hardware needed, just on-demand communication services delivered anywhere your users have a device connected to the internet. Solgari is a key partner for us. We continue to benefit from the intelligence and power of the Solgari cloud business communications solution. We’re now also examining innovations we simply couldn’t have considered before.